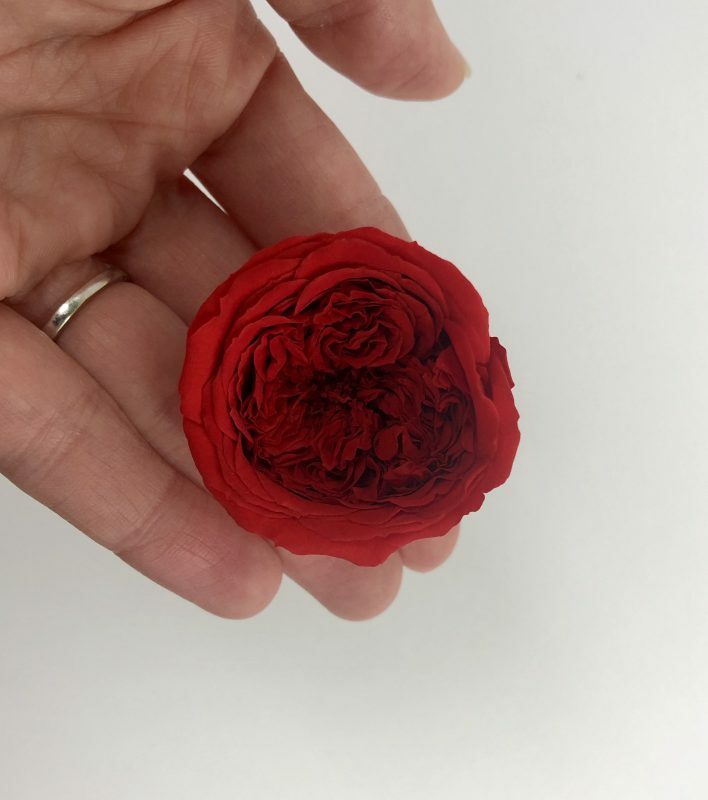 Our marketing director, Ryan Black had a fresh approach for designing these beautiful preserved garden roses provided by Rose Amor. 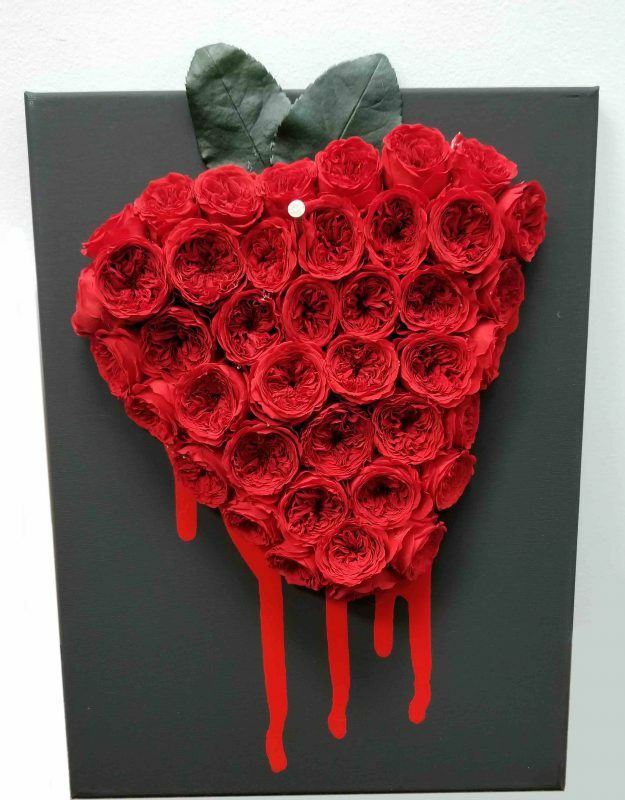 Ryan was inspired by the visuals from 2007’s movie “Across The Universe,” which strawberries are pinned onto a canvas forming rows of dripping strawberries during the movie’s musical scene of “Strawberry Fields Forever.” Ryan affixed the preserved rose strawberries onto a canvas behind dripping paint and pinned with a nail. 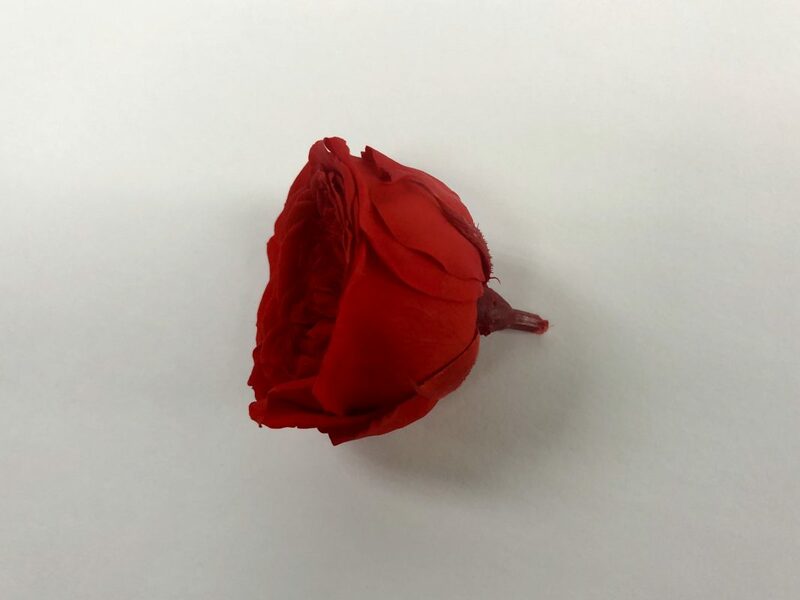 Rose Amor supplied us with these lovely Amelia-sized preserved garden roses in their popular color Red-02. 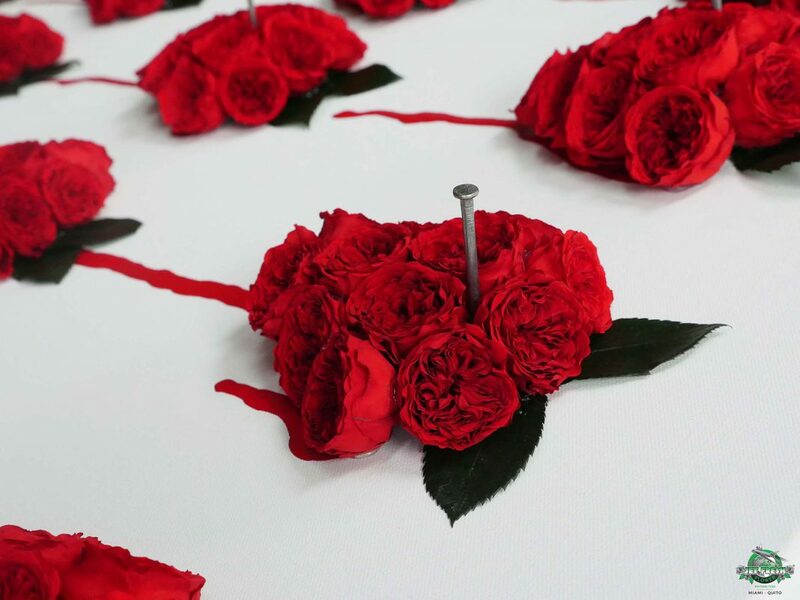 These preserved garden roses measure H 2.0cm x D 4.0cm and include a stem to design. 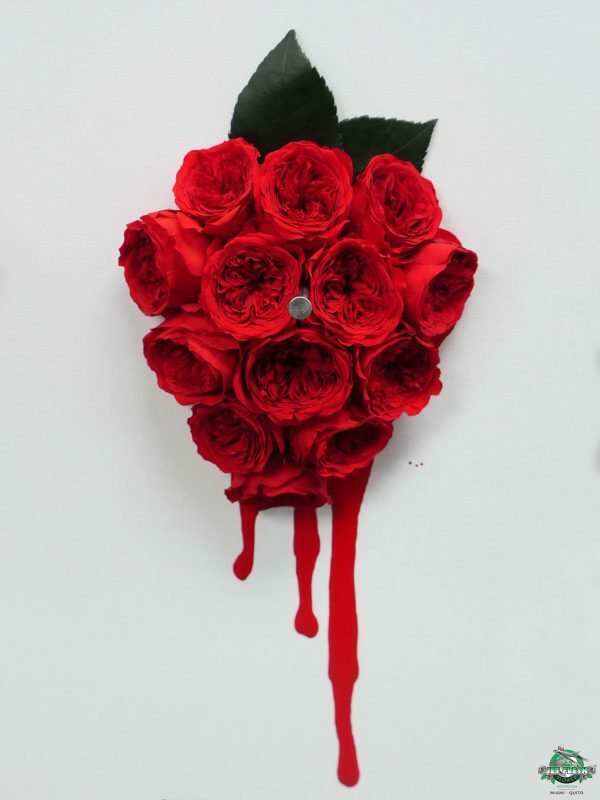 The preserved foliage for the strawberry was taken from our preserved rose stems also by Rose Amor. 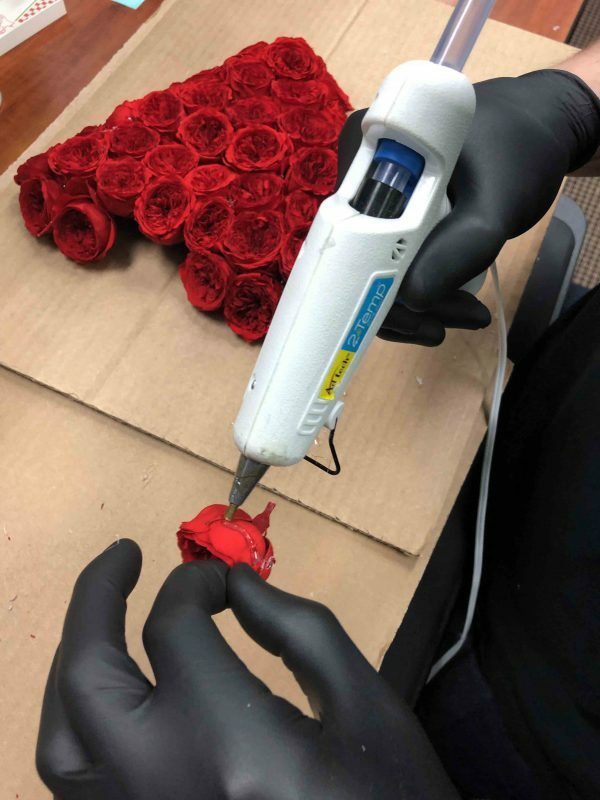 Using a hot glue gun, Ryan created the strawberries from bottom to top, hot gluing the roses to each by the petals. 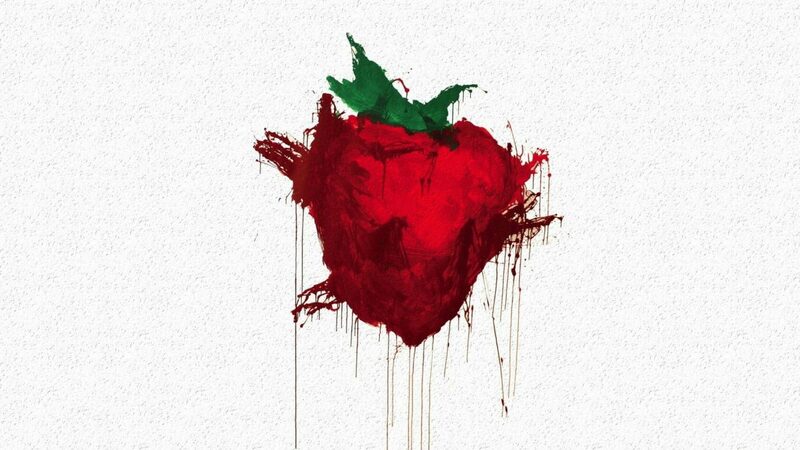 While his first design consisted of more rose heads, the final set of strawberries for his “Strawberry Fields Forever” consisted of 12-13 rose heads each. 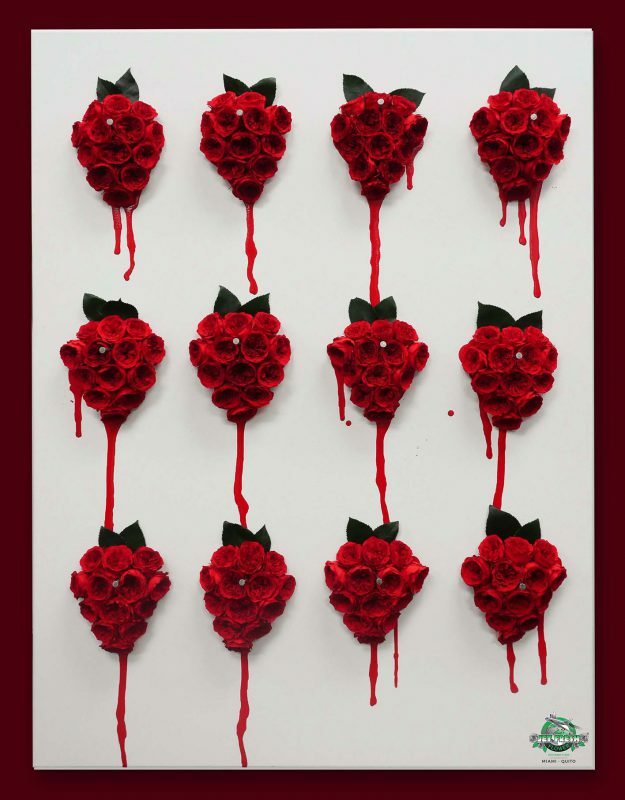 The canvas measures 30″ x 40″ inches and fits 12 preserved rose strawberries. 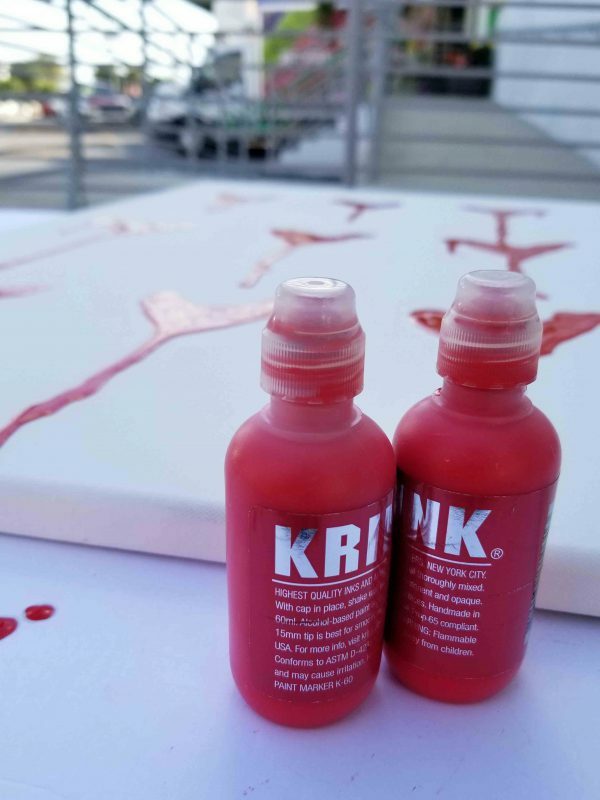 Behind each strawberry is its own red drip to create the same bleeding illusion as captured in “Across the Universe.” Ryan made these drips using Krink Paint Markers, which have their own sponge tip that lets you to apply heavier amount of paint in a certain area. Ryan applied the paint first on a flat service, and then tilted his canvas to allow the paint to drip down. 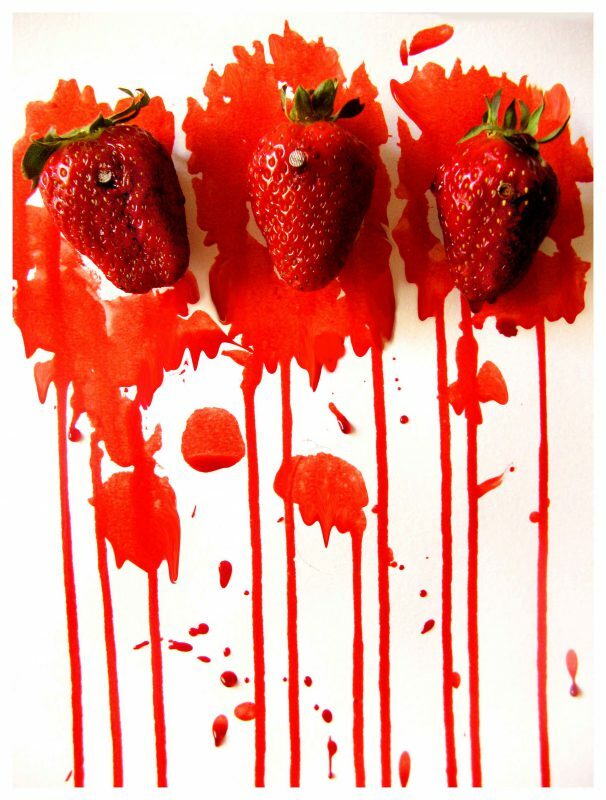 Once the paint dried, Ryan then hot glued the strawberries directly onto the canvas. 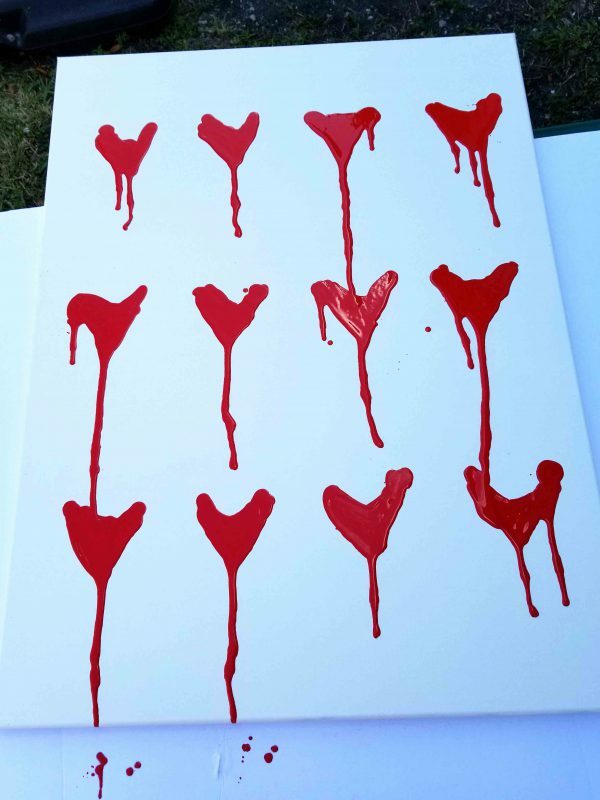 Once the paint dried, Ryan then hot glued the strawberries directly onto the canvas creating three rows of four strawberries. And for the finishing touches, a large nail was hot glued into the strawberry to complete the finished look. 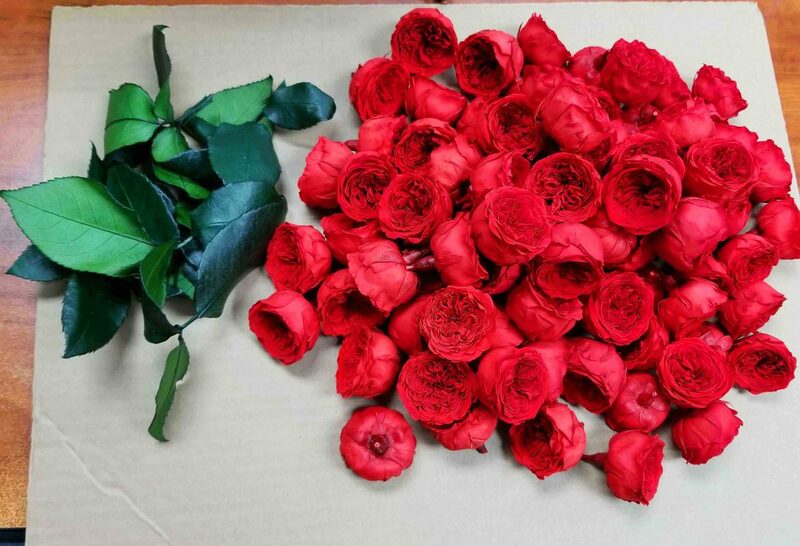 Learn more about our popular preserved flowers. 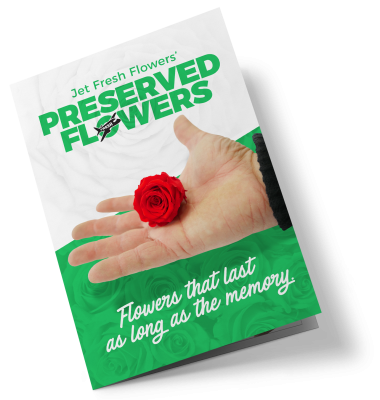 Download our latest Preserved Flower brochure to see some of the preserved products available to order from Jet Fresh Flower Distributors. 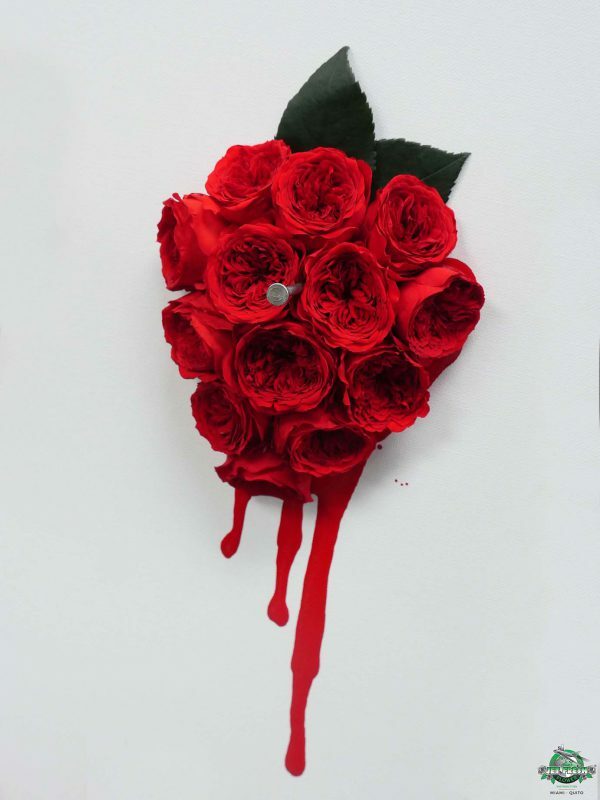 This entry was posted in #FreshInspiration, News, Preserved Flowers and tagged DIY, Preserved Flowers, Preserved Roses, rose amor, strawberry, strawberry fields forever.